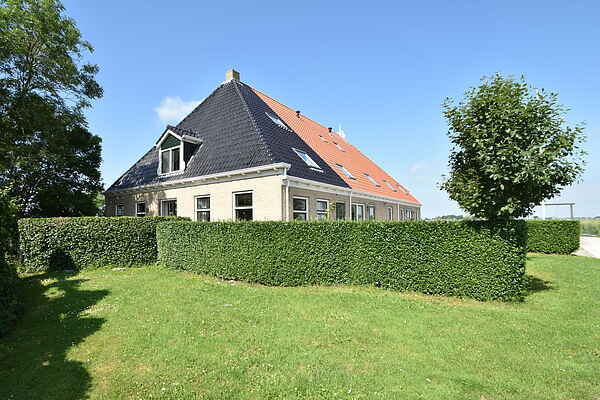 This recreational farm is located in a beautiful area of rural Friesland on the historic de Slachte waterway in the village of Arum. The residence offers many options for a lovely stay with family, friends or colleagues. Enjoy your holidays amidst the meadows and grazing cows. A beautiful view, quiet and natural with many options for activities provide a real holiday feeling. EXTRA INFORMATION: If desired, catering can be provided during the stay. You may discuss your requests with the property owner prior to your stay. On the ground floor there is a recreation room which can be used for meetings and parties. (upon request, for a fee).